Last weekend I partook in my biannual Spring/Autumn clean. This usually involves playing loud, cheery music to housework dance around to, a large bottle of bleach wine, attempting to file bin six months of paperwork and carting several bags of clothes to the local charity shops. Although the clear out of my summer wardrobe was rather premature this year; as I write this it's a balmy 23C and the summer is stubbornly refusing to fade into autumn. Buoyed up with a very rarely seen enthusiasm for a big clear out I turned my attention to our kitchen store cupboards and my various boxes and tins of baking paraphernalia. In long forgotten boxes I found dusty equipment from when I went through a bit of cake pop phase, enough cupcake cases to open an online emporium and more decorative sprinkles and sparkles than an extra celebratory episode of Strictly Come Dancing. If randomly and excessively decorated cakes and bakes start appearing on What Kate Baked in the near future you know for why. 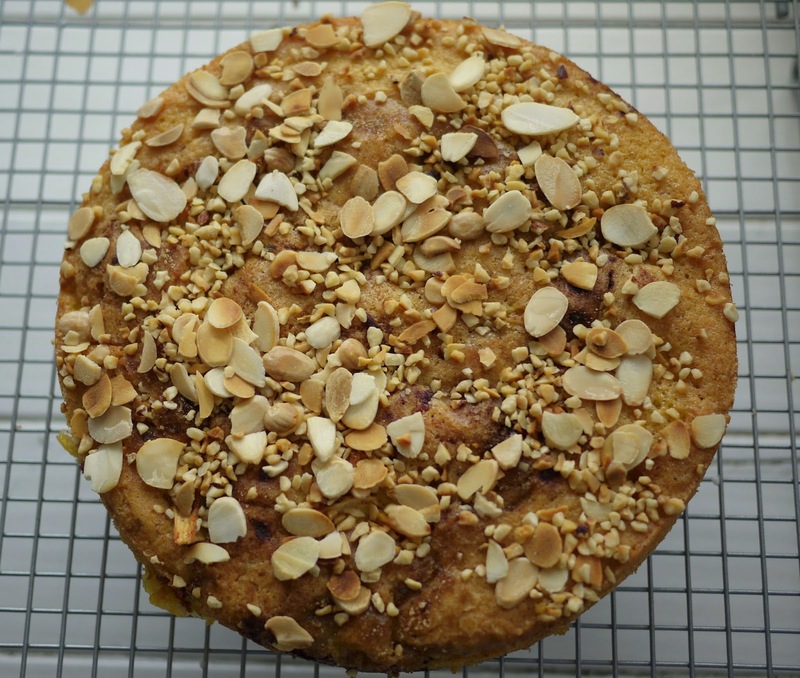 As a reward, a bit of a treat and to encourage Autumn along** I baked this very seasonal cake. Albeit, in my flip flops. 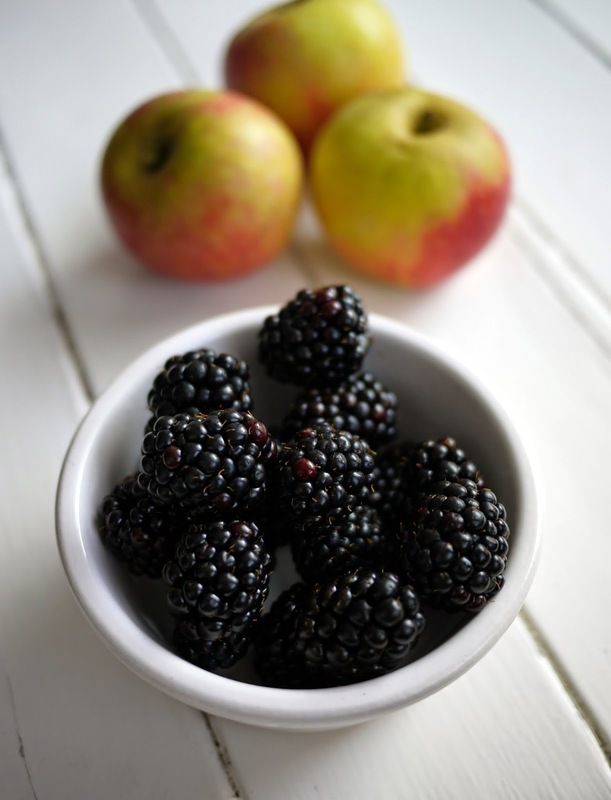 A fluffy, light sponge is dotted with juicy blackberries and sweet British apples with a crunchy nutty topping. ** I've a lot of lovely new recipes I'm keen to try out; fluorescent, floral sprinkles optional. 1. Preheat the oven to 160C/140C Fan/Gas Mark 3. Grease and line an 8 inch loose bottomed round cake tin. Beat together the butter and sugar for several minutes until light and fluffy. 3. 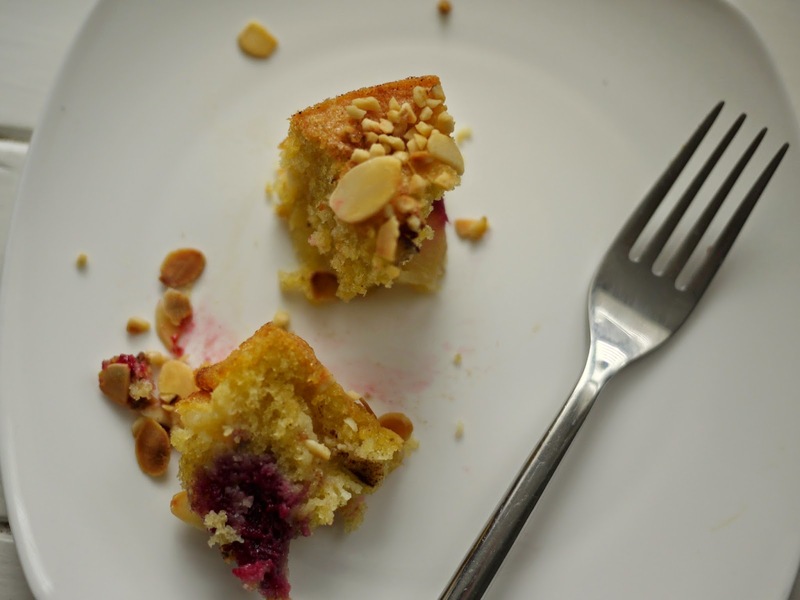 Fold in the flour and ground almonds. I'd love to say these blackberries were foraged from a beautiful hedgerow but I'd be lying; they were foraged in Waitrose. This looks gorgeous Kate, that fruity layer at the bottom would be the bit I would savour! 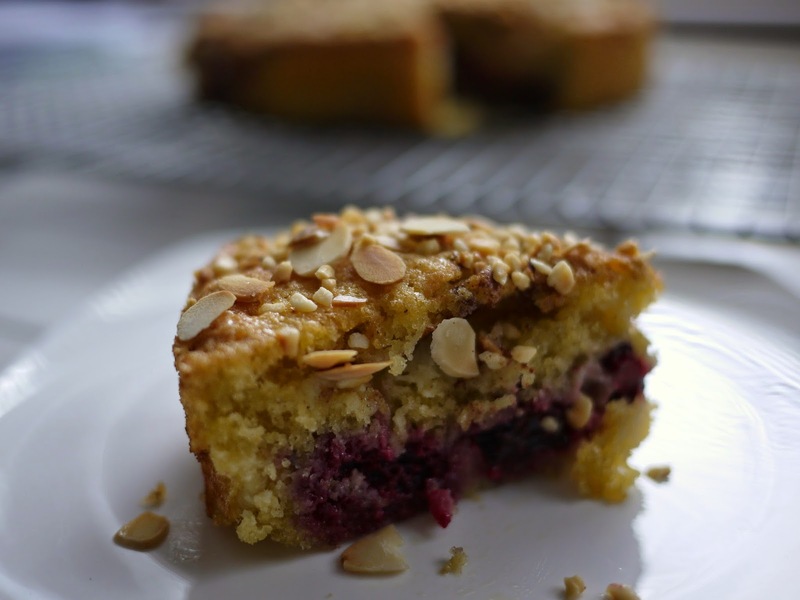 apple and blackberries are my absolute favourite combination... my mum used to make a very similar dish annually at this time of year from home-grown apples and blackberries... your cake looks gorgeous. I love the way it has a really puddingy quality about it... roll on autumn! 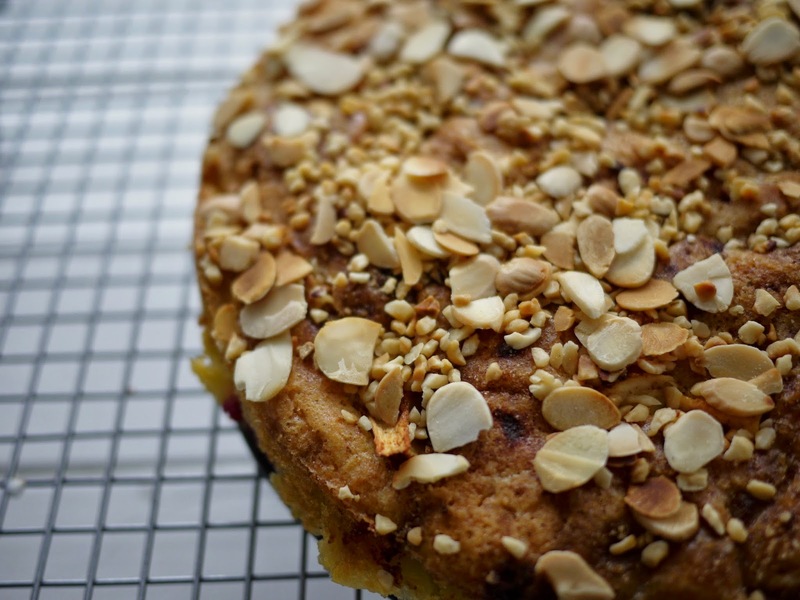 I love the nutty and fruity layers on this cake. It's really interesting, the things you find while cleaning out your cabinets and cupboards... and looking forward to whatever recipes you make that has fluorescent sparkles on them. Hello autumn! I agree with The Caked Crusader - so many of my faves in one mouthful. And yes to warm with ice cream too! I love autumn just for its comforting deserts. My youngberries produced no fruit last autumn but here we are in spring and there is tiny fruit all over the climbing plant! Might get baking before the weather gets too warm.